Carbohydrates are the energy source most runners use to fuel their training and their racing. Wait? most runners. That’s right there are some runners out there who use fats, protein, and even nothing. But this blog is about the carbohydrates. 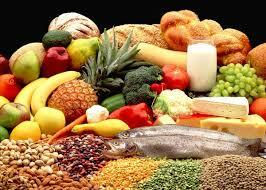 Carbohydrates are broken down into glucose, which is what our bodies burn to fuel our muscles, nerves, and brains. Our bodies can store glucose as glycogen in our muscles, but it’s limited. When we run out, we hit the infamous WALL, if we haven’t properly fueled. Our blood also has glucose floating around. Maintaining our blood sugar level is how we prevent hitting, or reduce the impact of, the wall. Ultrarunners and even some marathon runners struggle with GI issues and are constantly on the look out for ways to optimize their fueling strategy and minimize GI distress. It seems like a never ending cycle, and I’m not here to tell you there’s a way to end it, but there are different things to experiment with and thereby, possibly minimize your discomfort. In our efforts to maintain our blood sugar level and avoid the wall, we may overload on the carbs which causes sloshing, cramps, bloating, and other nasty things in our stomachs. So the trick to minimizing GI issues, is knowing how much to intake to maximize uptake, but not overload the system. This blog is also for those who don’t suffer from GI issues, since we’re going to look at how much carbohydrate a body can uptake. Depending on the intensity you’re running at, you’re going to run out of glycogen stores withing about 90 minutes to three hours as an average endurance runner. To maintain your blood sugar levels you need to start taking carbs in right before you begin your race or a long training run. Then, you’ll need to take more at regular intervals to meet that 60-90 grams per hour. What we know is that regardless of how many grams of carbohydrates you intake, your body can only uptake between 60-90 grams an hour. What determines whether it’s 60 or 90 is the type of carbohydrate your taking in. Your body can process about 60 grams of glucose an hour. So if all you’re getting is glucose, don’t try to put more than 60 grams an hour in. To get to the 90 grams an hour, you have to combine the 60 grams of glucose with 30 grams of fructose (although sucrose is a combination of fructose and glucose it’s not processed the same so avoid sucrose as a source of fuel). The reason your body can handle the 90 grams of carb processing is because glucose and fructose take different paths to be absorbed by your body. Sixty grams of glucose produces about 232 calories. Thirty grams of fructose produces about 120 calories. For a grand total of 352 calories replaced during every hour if you play your cards right. Dextrose and Maltodextrin are made from starches, but are absorbed like glucose. This is nice to know because fructose is very sweet and sometimes sweet things become intolerable during a race. Maltodextrin and Dextrose are not as sweet as glucose and so they can be combined with fructose to get the same benefit of the 90 grams of carbs. Water intake with the carbs is important. Your digestive system needs water to break things down and get it into your blood stream to be used. Without water, it just sits in your stomach (which is why dehydration causes GI issues). If you put more than the 60-90 grams in an hour, your body is not going to be able to absorb them and they will just sit in your stomach causing problems. What if you’re feeling depleted, but can’t stomach more food/gels/chews? You can rinse your mouth with a carbohydrate rich drink and spit it out. This will make your brain think that carbs are on the way and give you a little boost for a little bit, but unless your close to the finish line, you still need to figure out your GI issue. Previous Article How many carbs do I burn when running?